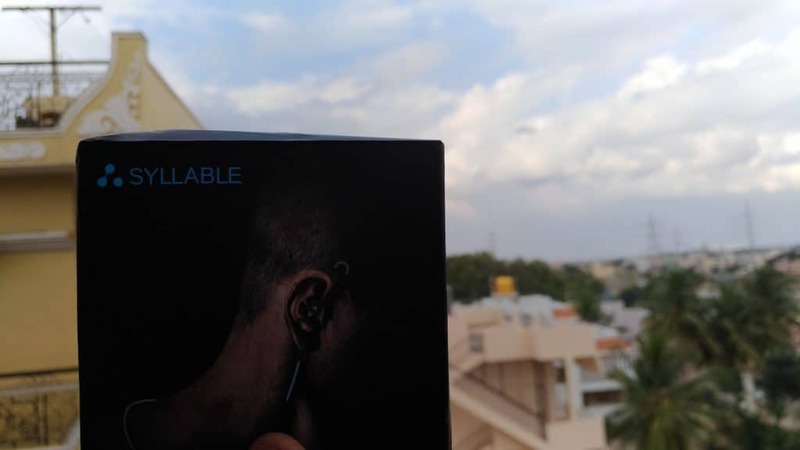 Syllable D700 – 2017 Review – The Only Sports Earphone You’ll Ever Need! As you might know, I got Syllable D700 – 2017 wireless Bluetooth in-ear headphone for review, and after testing for more than 2 weeks, I am now ready to put it out in a review. This is not the first time we received a Bluetooth headphone for review. Recently, we reviewed Syllable D300 in-ear wireless Bluetooth headphone and we kinda felt it’s not up to the expectation. 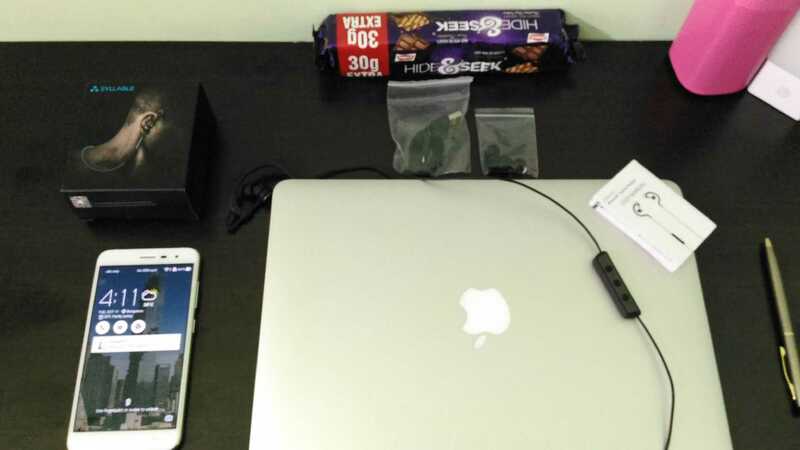 After that, we also received Syllable D900S, which is a wireless Bluetooth earbuds and the testing is in progress. Maybe in a week, we will come up with the review and do a comparison with the Airpods :p Anyhow, the one I received is not the last year D700 which is compatible with Bluetooth 4.0, it is the latest edition D700 – 2017 and is compatible with Bluetooth 4.1. In my Syllable D700 – 2017 Review, I will clearly explain what’s the difference between the duo and share my personal opinion on whether buying Syllable D700 – 2017 is worth or not. I don’t want to drag the review with unnecessary information, so I will make it short and straight. Let’s begin the Syllable D700 – 2017 review. Like my previous gadget reviews, I will follow the same structure in the current review too. So, let’s just start with the specifications & features of Syllable D700 – 2017. The specifications are not high-end, but for a price of less than $20, Syllable is giving more than what it comes with! Now, let’s slowly move towards the Syllable D700 – 2017 review. As you must be knowing, every brand inspires from other brands, but what difference that makes is how unique they show on the design based on the inspiration. In fact, we all know not every brand can make it unique, but the brand Syllable is an exception here. Though the Syllable D700 – 2017 resembles a lot of wireless in-ear headphone, but the difference they made is in the in-ear design. The one I received is a matte black edition which made me fell in love at the first sight itself. In general what we see in normal headphone are the ear buds in alignment with the holder, but our ears design are not like that. So, Syllable made a change to the ear buds, making an angle bent, so the earbuds fit perfectly to our ear. This design change also made it possible for complete noise cancellation [Thanks to Passive Noise Canceling Technology]. As it is as light as feather, you don’t feel like wearing it. 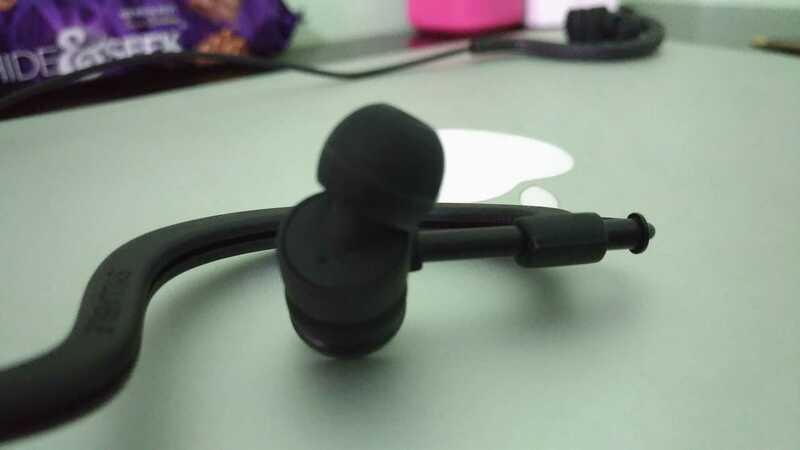 The rubberised plastic material [which the headphone is made of] doesn’t really give you any irritation while wearing it. The ear pods are completely adjustable based on your ear size and they are freely rotatable to whatever angle that fits your ear. Besides the in-ear design, the control part of the headphone is designed in a simple way. On the rear side, you can find the brand name – Syllable inscribed, while on the front side you will find 3 major buttons with several functions. The middle one [MF button] is the ON/ Play button while the others in between the MF button are to control the volume and track changing. 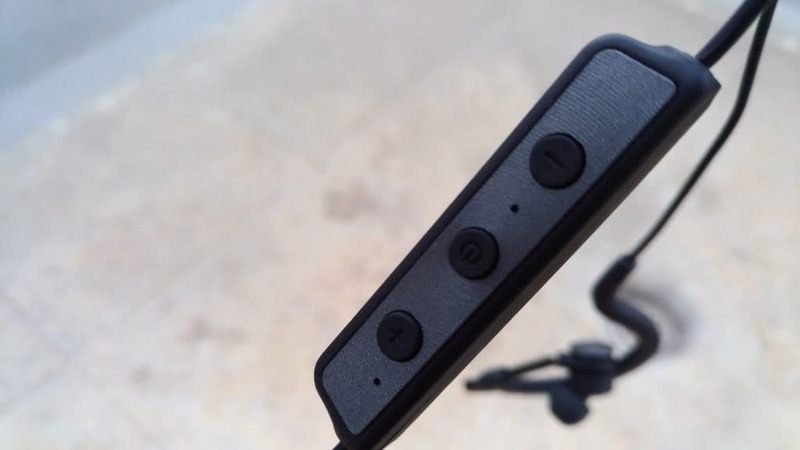 On the same side, you can also find an HD mic & the indication LED light in between the buttons. 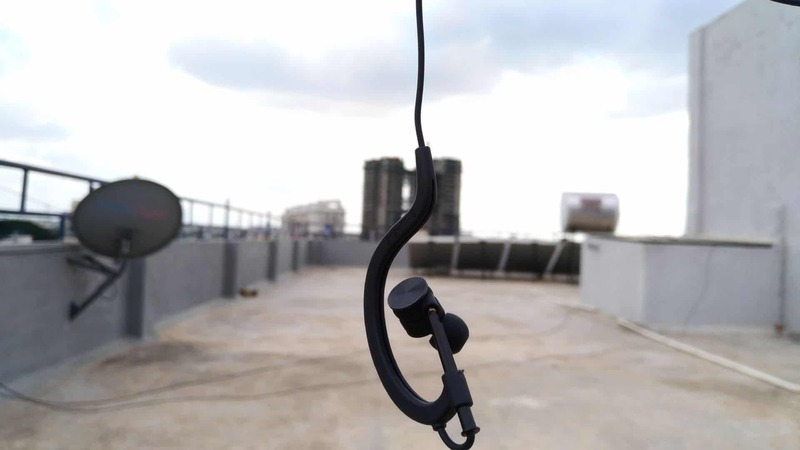 Now, before talking about how to connect the Syllable D700 – 2017 wireless Bluetooth in-ear headphone let me talk about the build quality. As already said, the earphone is made of the rubberized plastic material which doesn’t seem to be a premium one, but the in-ear design quality seems to be premium. The wire that connects the main part is kind of brittle and at the same time prone to extreme elasticity. So, care should be taken while taking the headphone from your pockets. Well, to be honest, the build quality is not as great as I expected and seems to be pretty cheap, but for the price range it is being offered, I believe it is more than what other brands’ are offering. Now, let’s move to the connectivity. As the headphone is connected using Bluetooth 4.1, so it is compatible with all devices [phones, tablets, laptops etc.] running on both iOS & Android. They are even compatible with Windows, Symbian and old Java phones too. So, how to connect it? 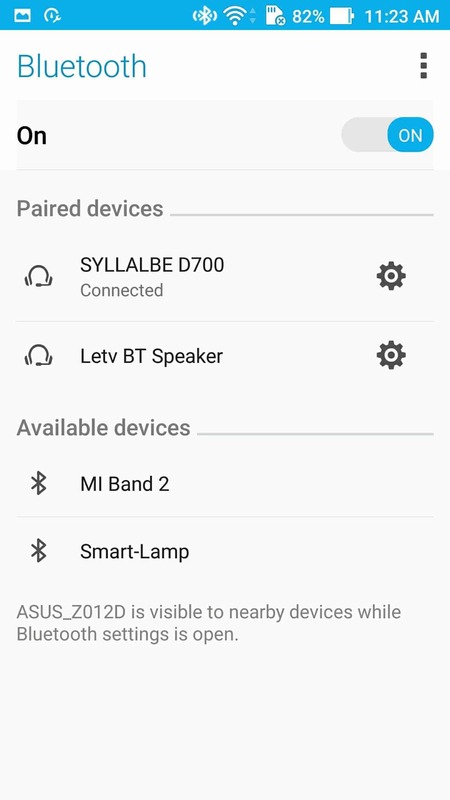 It’s very simple and is similar to connecting a normal Bluetooth device. That’s it! 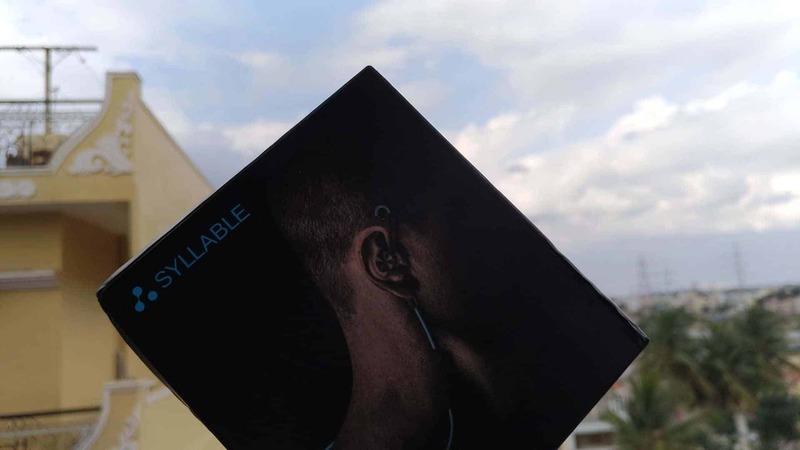 Now, let me tell you how I felt using the in-ear headphone from Syllable. Initially, I felt this is yet another in-ear headphone with audio delay, and poor audio quality, but to my surprise it’s not! For just 20$, Syllable is offering a premium quality in-ear headphone. The bass is simply superb! I played Martin Garrix songs and you know the beat :p right! Yeah! 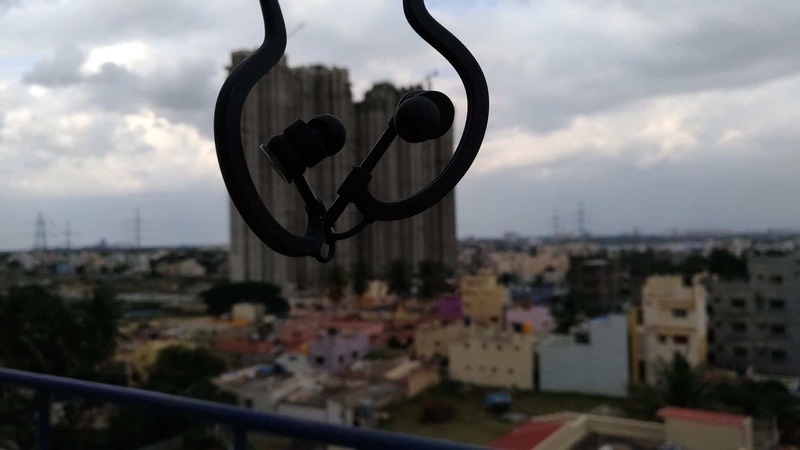 the quality from the earphones is just like the way I heard from a high-end headphone like the Kingston Hyper X Cloud Core. Even, the call quality is better and comparatively great than other Bluetooth headsets. Performance wise, the Syllable D700 – 2017 is a killer and is worth every penny you spent for buying it. I don’t see any audio quality loss, or extra noise or delay while changing the tracks. Everything was smooth and I felt like having a premium headset. Even the noise canceling feature is way better than what I expected. As already mentioned above, the battery life is really good. It lived up to 3 hours, 45 minutes with one single charge and I believe it is more than enough for workout/ GYM/ and few outdoor sports activities. 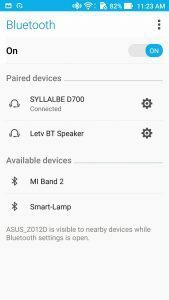 Also, the difference you find from this edition to Syllable D700 is the upgrade of Bluetooth connectivity and the fast charging. The current one takes from 30 to 50 minutes to get fully charged, while the previous version takes 1.3 to 1.5 hours for 1 single charge. Even battery life, audio quality is heavily improved compared to the Syllable D700.Overall the in-earphone from Syllable is worth buying! If you are running on low-budget, but wanted to own a wireless Bluetooth headphone with premium audio quality and at the same time have the noise canceling feature and a mic, then without searching on Google, you can just go ahead with Syllable D700 – 2017 and I believe you won’t regret it later. If you are running on low-budget, but wanted own a wireless Bluetooth headphone with premium audio quality and have the noise canceling feature and a mic, then without searching on Google, you can just go ahead with Syllable D700 - 2017 and I believe you won't regret it later. Next articleAre you Looking for the best tablet to help you in Graphic Designing? Huion GT-220 V2 Tablet is the answer for you!